Dragons have always captured imaginations, and this striking garden fire globe brings to life these wonderful mythological creatures. 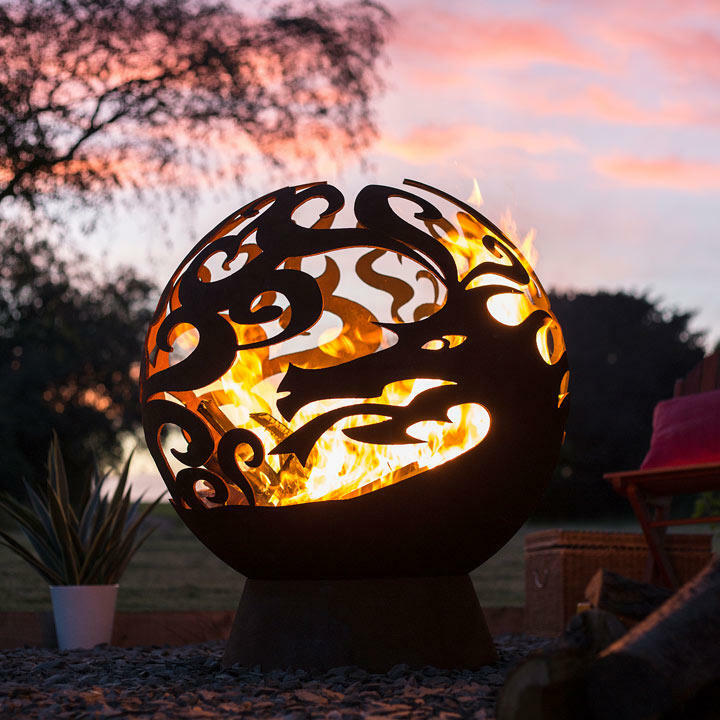 Made from thick oxidised steel, the fire globe looks stunning even when not lit, and even more so with a glowing fire at its heart. Gather around this beautiful garden feature and stay warm all evening long. Perfect for toasting a few marshmallows with friends and family too. 80cm diameter x 90cm high. 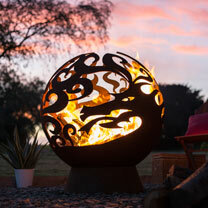 A stunning fire globe for the garden lovers who want to enjoy their outdoor space all year round. Relax in the warmth of a real wood fire, and cosy up under the stars.